Giveaway: New Shoes!!! A new Pair of Kuru shoes. A slip-on model of your choice. Either the Slipstream, Rapid, or Draft. It's all about comfort and performance. These shoes are definantly on my must have list for my next pregnancy. Kuru makes an active shoe that actually molds to your feet. Their unique technology gives you custom, reliable support. Boy would this be nice when I am carrying the extra weight of pregnancy. Especially when I am pregnant and chasing after our other three children. CJane will receive the shoe of her choice from the Kuru site. Could you use some extra support? Leave a comment on this post telling me which Kuru Shoe you would love to win. I would love to win the Chicane - Womens - Java/Capri. Oooh, the Java/Olive Draft! Those are me! How fun! The Chicane in Orange is one hot shoe! I would love (love!) to win a pair of black draft! 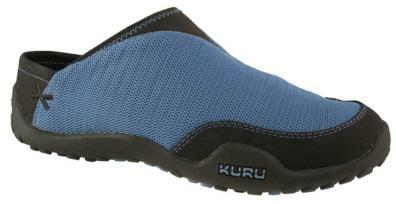 I'm a fan of Kuru Footwear on Facebook. Draft all the way for me! black draft all the way baby! I think I'd like the Chicane Womens Chocolate or the Draft in Womens Black. It's hard to pick! Goofed :) Draft...shoot, I just like them all! Black drafts look especially cool! Chicane Womens Java/CapriChicane look fun! Draft in Java and Olive! Excellent!! Oooo....I sure would like a pair of Drafts. Might help my walking after bunged up bunion surgery! I love the Drafts - all colors! Draft is any color is my fave! I would get the kruzr in madderbrown. I need some for girls camp this summer. Halsyon in the green and brown or frankly any of the orange shoes! chicane women's chocolate. what a great shoe! The drafts would be wonderful! Draft in black or java/olive or black!!! Such hard decisions. I'd pick the draft java/olive. I'm loving the draft shoe. Slip ons are the BAYEST! No doubt, the Draft in Olive/Java ~ so great!! I love the Draft in black. These shoes look so comfy! The Slipstream are so cute! Kruzr - Womens - Java/Olive. I love the brown and olive together. I really like the rapid style...in any color! They look SO comfy! I would definately love a draft. Not sure which I like better....the draft or the slipstream style...decisions, decisions! Chicane-Womens-Jave/Capri for me! Great shoes! I love the Orange Draft, super cute! I like the black Rapid. Very cool! I like the Slipstream. Looks great! the chicane in orange or the draft in java/olive. The rapid would be perfect! I would love the java/olive draft. I would love the slipstream in gray! Slipstream in grey for sure!! I also follow Family Volley. The rapid in black is for me! The rapid is cute. How can you go wrong with pink and black. The Kruzr II in jade/olive is so great! I have added the button to my blog. The Kruzr women's in gray/black! Absolutly adore the Kruzer in olive and chocolate! they look so comfy. I would sooooo love the Rapid in black. Looks sooooo comfy! Thanks. I love the Draft Java/Olive color. Those are great. I love the orange Kruzr. My favorite color on a fantastic shoe! The Slipstream grey are look awesome! Have to go with Draft in Olive/Java. Super cute! Halcyon - Womens - Java/Olive LOVE these! oh the Rapid Black look pretty wonderful! The Halcyon would be perfect! i would love to win a pair of either slipstreams or chicanes. I have plantar fasciatis and hear they are supposed to be great for that! They look great too.. go kuru!! I love the rapid in black. I had shoes just like this (different company) and they just died this spring. I would LOVE LOVE LOVE THE Draft /Olive...so cute and springy..
Oooooh, draft, black would be so perfect! I would like the draft in black. Also, I became a fan of Kuru on Facebook! I'd have to go with the rapid or slipstream, they are perfect for where I live. I would really like the Draft shoe in the Java/ Olive color. draft black need i say more. I would have to say the draft in blue. Loving the Draft or Slipstream! love the chicane chocolate. I love anything chocolate. Chicane Chocolate -- these look so comfortable, any will do! hmm...i think i'd go with the draft in celestial blue! they look so comfy, I'd love to try them out! I'd love to win the slipstream shoes! I love the Chicane in Java/Capri - these look so awesome! 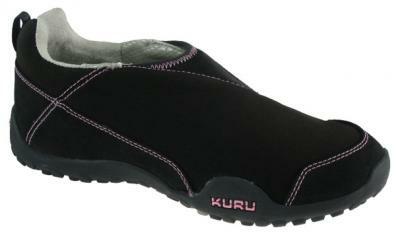 I'm a fan of kuru shoes on facebook! I would choose the slipstream. I'd love to win the slipstream style in gray. I like the Kruzr II in orange! the chicane! i love comfy shoes! screw fashion. i live in crocs right now. I would love to have a good walking shoe. The Kruzr Madder Brown Walking Shoe size 7.5 would be perfect to have. Of the ones on the website, I like the Kruzr style...but they all look comfortable. Shoes!! You, by far, have the best baby shower anyone has heard of. :) I would love the Draft shoes! Laaaaaa! The heavens have opened. Love these. The draft black would be heavenly on ma feet! I would pick the Slipstream in Gray. I would love the Rapid in black or gray! Not sure what style, but I think my husband would appreciate a pair of these since he's a surgeon and has to stand/run all day. I love the Kruzr in orange! I like the Draft pair. It would be perfect for a pharmacy tech who's on her feet all day! I love the java/olive color combination. These look like great shoes for a mom on the go. I like the draft Black. They would go with anything and great for slipping on at a moment's notice! I would be quite happy with Chicane - Womens - Orange! I would have to say the Draft- in orange- awesome. But the Rapid wouldn't make me sad either. Chicane java/capri. These would be wonderful! The black Kuru's look super comfortable. I want the Chicane Women's Orange or the black Draft. I like the Gray Slipstreams!! I am a fan of Kuru on Facebook!! i am loving the draft olive/java! pick me pick me pick me! I love the Draft - Womens - Java/Olive they would be so cute with skirt. The Draft has been a wonderful solution to my plantar fasciitis. Kuru shoes have made it possible to be on my feet again! I would pick the Rapid in Black. Chicane-Woman's-Chocolate. I'm a sucker for pink and brown. Plus they're cute!